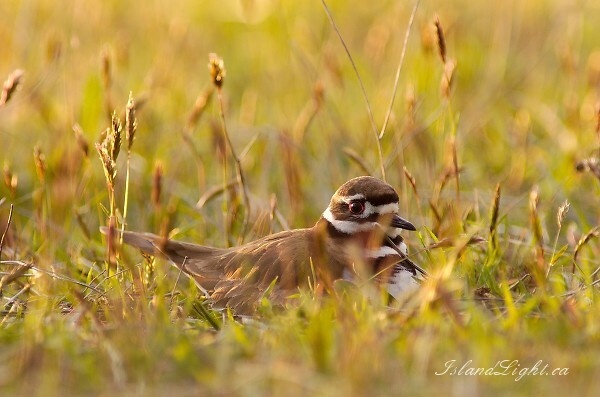 I knew that there was a killdeer nest in the north field. When I walked nearby the mother put on an elaborate and very convincing charade of having a broken wing, only to gracefully burst into the air with perfectly healthy wing beats once I had been lead away from her eggs. 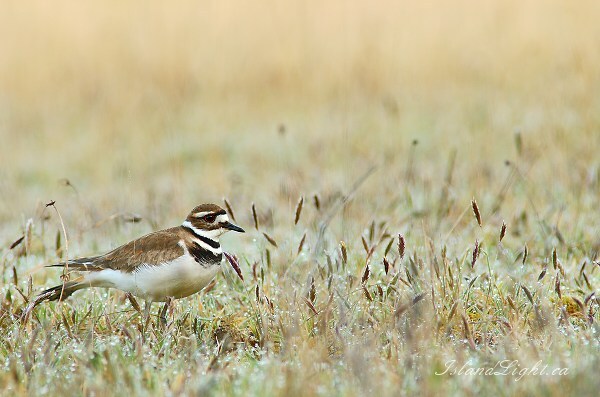 There are always killdeer nests nearby here, but even when I walk right over them, they are extremely hard to spot. After exhaustively crisscrossing the area on tiptoe, trying to find the nest without stepping on it, I climbed a Douglass Fir and waited with binoculars aimed. Two days later I was laying on my belly in the wet grass, my camera sticking it’s face though a hole in my new “blind” (a tiny piece of scrap bender-board screwed down to a ceder slab), watching the mother and father killdeer take turns incubating their eggs.